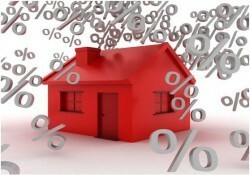 As their name implies interest on a variable rate home loan varies! Life used to be simple with these when lenders all followed the Reserve Bank (RBA) Cash Rate movements ie: when the RBA increased the Cash Rate by 0.25% every lender used to do likewise with their variable rates. In those days we had a ‘standard variable’ interest rate that was pretty well uniform across all lenders. However today that is no longer the case as lender now pass on all or part or even none of the rate changes and this means that what is a competitive offer today may not be competitive only one month later. Many people are attracted to ‘discounts’ offered and some actually base their decision on the size of the discount without realising that there is no ‘standard variable’ any more. So a 1% discount from one lender may result in the same ‘actual rate” as a 0.50% discount from another lender – don’t get lured by stated discounts – look at the bottom line interest rate. Variable interest rate home loans come in a number of guises – the differences can be subtle but may also be critical to your needs. These are often loans sold with a very low interest rate however you have to be very careful and ensure that you read the fine print. It is not unusual for these loans to have a fixed term eg:30 years and that term cannot be reduced by making additional or lump sum payments. They also may be restricted to repayments monthly in arrears only and this can add considerably to the actual cost of the loan. If you don’t believe me give me a call with some figures and I will show you the comparisons. These loans are becoming less common as they verge on breaching the consumer credit act. These are a popular marketing tool for many lenders offering what appears to be a very attractive rate for 6 months, 12 months or even 3 years. However after the honeymoon there is often a hangover and that usually comes with a higher rate. Another thing to be aware of when taking a honeymoon option is that lenders who are offering special bonus package discounts (see below) very rarely pass these on at the end of the honeymoon period – so make sure that you get a pricing offer in writing. These are loans that usually come with few frills however very often offer fantastic value – especially for first home buyers and average mum & dad home borrowers. They will typically be Principal & Interest ( P&I) ie: they do not offer an Interest Only (IO) option – they don’t offer an offset account however usually they will allow additional and lump sum repayments with redraw although this will probably have a fee of around $25 – but not always. They will typically have an application fee – those that don’t will almost certainly have a valuation and legal charge which usually works out the same anyway. 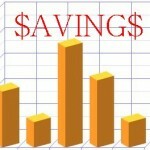 It is also not unusual to have a low monthly administration of around $5. For this type of product Heritage Bank are currently very competitive. 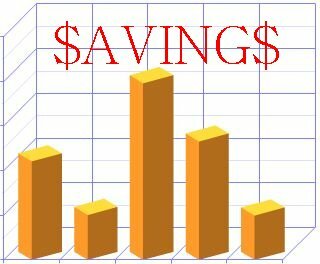 To qualify for significant discounts ie: you end up with a rate nearly as low as a good basic variable (see above) you have to borrow in excess of $250,000 although you have to go to $750,000 or more in order to get serious discounts ie: greater than 1% . The problem is for people with a single property and one loan say $250,000 then the annual fee which is commonly $395 represents the equivalent of 16 basis points loading on your interest rate and that probably is not good value – even with a Platinum Credit Card. However for borrowers who have very large loan and/or property portfolios then a package loan can offer very good value because as their name implies you can package all of the property loan accounts under the same annual fee. These borrowers may take advantage of discounted lines of credit for share trading and/or personal use and keep one loan account per property for ideal tax recording. The better packages also waive all application and valuation fees thus saving quite a lot if you have multiple properties. The very good package also waive all other fees such as fixing, switching, loan top ups etc. At the moment I lean towards Suncorp’s package as it is not restricted to any number of accounts, it is competitively priced at $300 pa and competitive rates. Westpac’s Premier Advantage is always a nicely featured product while CBA are hamstrung with their tedious MISA offset account, NAB charge monthly fees per account, St George and ANZ are limited to only 5 accounts under the package. There are some semi-package loans that can be very competitive for mid-level borrowers such as AMP, ING, Heritage and Members Equity.